Heavy Rain development studio Quantic Dream is notorious for long development times. The studio's also notorious for critically-loved games with strong cinematic cores, and games that often look very different from the competition. Part of that is game design, but another major piece of the puzzle is the engines driving those games -- each game that Quantic Dream makes is built in a unique game engine, which is both very expensive and very time-consuming. The studio's founder and lead, David Cage, explained as much to us in an interview at DICE 2013. "Quantic Dream is a very special company in the sense that we do a lot of things that wouldn't make any sense in any other company. We haven't done any sequels so far, we work on new IPs each time. And we pretty much develop a new engine each time we develop a new game." But Cage doesn't harbor much love for that last part -- the game engine bit. He says that his studio opted out of the current console generation's game engine of choice (Unreal Engine 3) because, "we work with Sony, [and] we want to create the best technology for the hardware and see how far we can go." As a result, even Cage's latest work (Beyond: Two Souls) is crafted in a new engine -- the same one used to build the Kara demo we saw last March -- intended to show off the PlayStation 3's late-generation graphical and processing chops. Yes, even with the next PlayStation (codenamed "Orbis") waiting in the wings, his second-party Sony studio is still showing off the aging PS3's prowess. 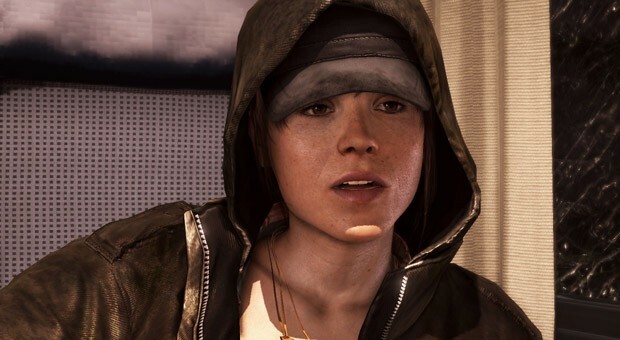 Beyond: Two Souls is more than just a showpiece, of course, with Quantic Dream employing actress Ellen Page to motion performance-capture the game's main character, and the same emphasis on storytelling the studio's practiced previously. Still, Cage hopes for a future where technology isn't something he and his studio need be concerned with. "I just hope that we'll really see a technology covering all the needs of all the studios, which means -- just like in cinema -- no matter what is the film you make, there is a technology so you can film this. Whether you make an action blockbuster, or a comedy, or a drama, you've got the right camera and all the right technology to do it. In games it's not the same yet, and I would like to see technologies dealing with cameras the way we do, dealing with bouquet, dealing with performance capture, with lighting, with all this stuff the way we do. And when it happens, we'll stop developing tech and we'll just focus on content." Cage gave a talk at DICE 2013 titled, "The Peter Pan Syndrome: The Industry That Refused to Grow Up," which focused on the evolution of games and his perception that many current games are little more than derivations of previous work. We've dropped the full talk below, and collected all the DICE 2013 speeches right here.